How to be Vegan and Keep Your Friends helps you to go about your life without compromises, excuses or apologies. Instead, you'll be armed with more than 50 incredible recipes you can cook for yourself, your friends and your family (without hearing any complaints! 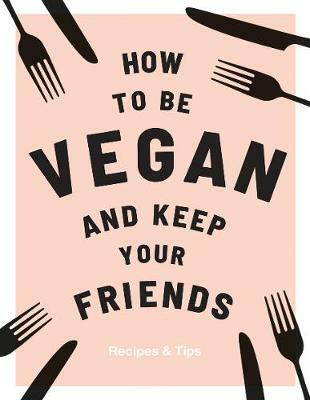 ), as well as tips, tricks and hacks for being a better more easygoing and happy vegan. Your options will open up, you'll enjoy a whole new menu of food (from vegan cake to vegan chocolate breakfast bars), and your friends... well, they'll never have a bad word to say again!